The Matrix: In some ways the exploits of Neo were subservient to his mission. Interesting how this SciFi flick gets physical. Probably would be too geeky without the high flying and spinning acrobatics. 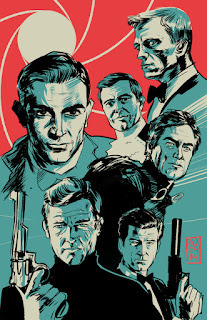 James Bond Flicks: Over the years the finesse of Judo gave way to Karate brawling and the once suave super spy became a buffed out street fighter. Shanghai Noon: Blatant and ludicrous exploitation of Martial Arts in an Old West setting. 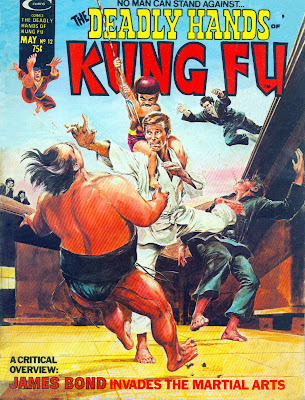 Reminiscent of the campy old "Kung Fu" television series. V for Vendetta: Another super hero with special Martial Arts skills used to achieve idealistic goals. Have to wonder where "V" got his training. Guys like action movies and sometimes these sorts "Arts" are used to attract them. Yet I wonder if sometimes this kind of stuff is added just to mask a poor story and so-so acting? Home Answering Machine or Voicemail?